It would've been highly illogical to venture into Star Trek Beyond without expecting at least a little of the unexpected. 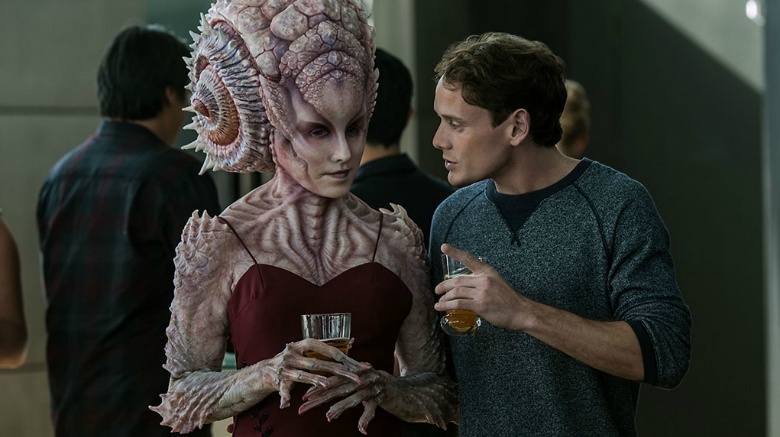 Producer J.J. Abrams turned directing duties over to Justin Lin (Fast & Furious 6) and had Simon Pegg ("Scotty") co-write the script, and with this being a sort of standalone installment away from Starfleet, the filmmakers were free to boldly take us wherever they wanted. The results turned out to be a wild throwback ride through the less serious side of the Star Trek universe—and one that was full of surprises. Be warned if you haven't seen the film: spoilers ahead. 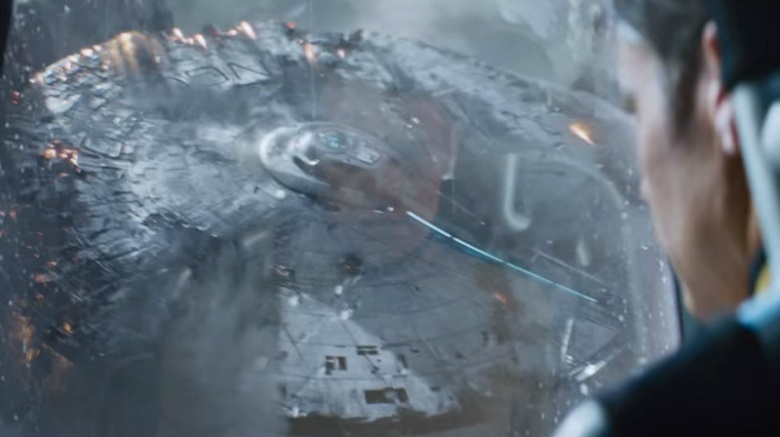 Through a dozen movies and the entirety of the assorted Star Trek series on TV, the USS Enterprise had been destroyed only twice before: once in Star Trek III: The Search for Spock and again in 1994's Star Trek Generations. 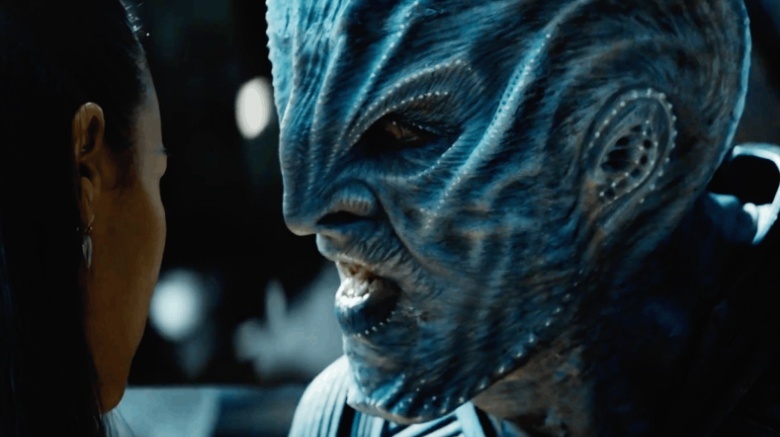 Those are two pivotal movies in the series (the latter introduces the original cast to Patrick Stewart and the Next Generation crew) and, because the pre-release buzz about Star Trek Beyond was that it would take place in a kind of vacuum, we didn't expect any plot developments with lasting repercussions. It was pretty shocking, then, to see the Enterprise completely ripped apart by Krall's swarm—and it must have felt even weirder for Kirk, who watched from his escape pod. 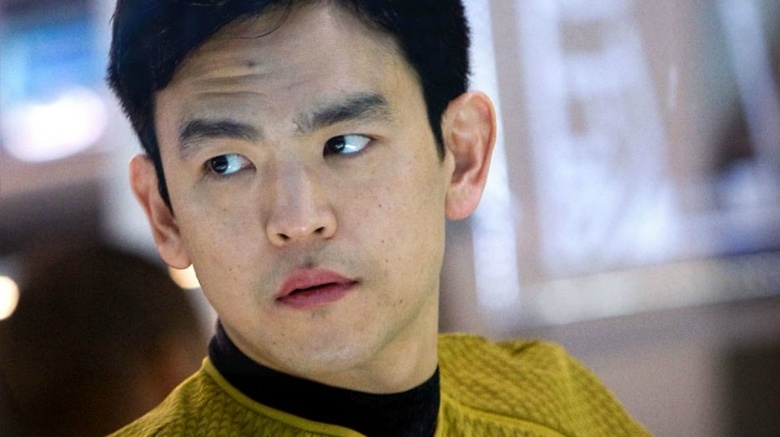 After all the pre-release press about Star Trek Beyond, most of us already knew Sulu (John Cho) would be making history as the first openly gay main character in the history of the series. So we weren't surprised to see his kiss with his partner Ben (played by co-writer Doug Jung), but it still seemed to come out of nowhere. It's during a quick stop at Starfleet's Yorktown station, and (as far as we can tell), nobody else on the Enterprise had any friends or family waiting there for them. Sulu had never mentioned Ben (or being gay) in any of the previous Star Trek movies or series, and we barely heard anything else about Ben during the rest of the film. Despite being on a remote alien planet at the edge of the universe, 200 years in the future and presumably far from a gas station, Kirk found a good old-fashioned motorcycle. Guess we should never underestimate Justin Lin's love of street-level chase scenes. 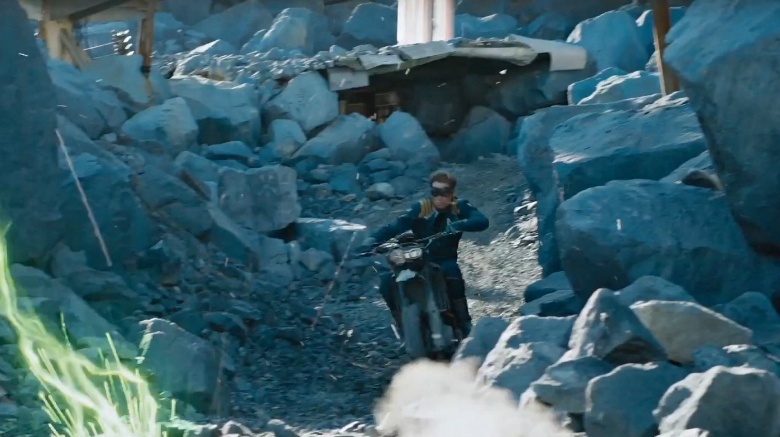 Addressing his use of the motorcycle in Star Trek Beyond, the man behind Fast & Furious 6 told Slashfilm, "Yeah, well, I am who I am." We heard it in the 2009 Star Trek reboot when the young Kirk steals a car, and again in the trailers for this movie. 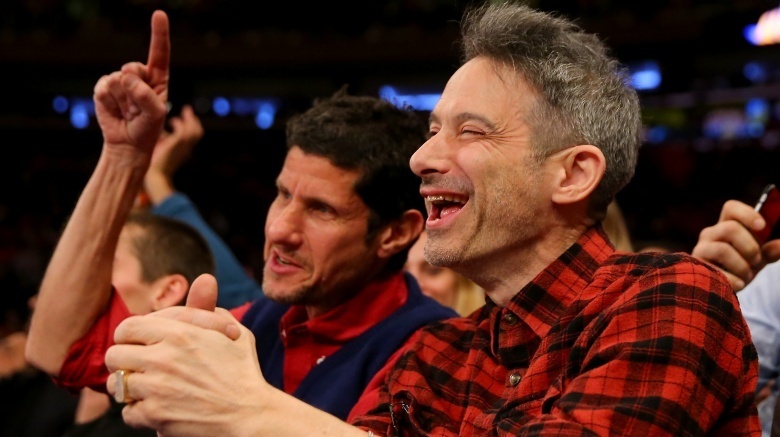 So it wasn't all that surprising to hear the Beastie Boys' 1994 hit "Sabotage" in Star Trek Beyond, but we weren't expecting it to show up quite the way it did. When Scotty (Simon Pegg) is looking around the long-lost USS Franklin, he comes across Jaylah's collection of music left by the original crew. Despite the fact that the song would've been 100 years old when the Franklin went missing, the first track we hear is Public Enemy's "Bring the Noise." And when it turns out that discordant radio waves are the key to knocking out the Swarm, Scotty knows "just the thing": "Sabotage." It's awesome and chill-inducing and a little on-the-nose, but we just didn't think he really had time to take a deep scroll through Jaylah's iTunes. Star Trek Beyond is just the second film in the series (after 1998's Star Trek: Insurrection) not to feature any scenes on or around Earth. The crew of the Enterprise are in the middle of their five-year mission to "boldly go where no man has gone before," so it's understandable that they're too far to visit home. But with all the craziness around Krall and the imminent destruction of the Starbase Yorktown, you'd think someone from Starfleet would at least call. 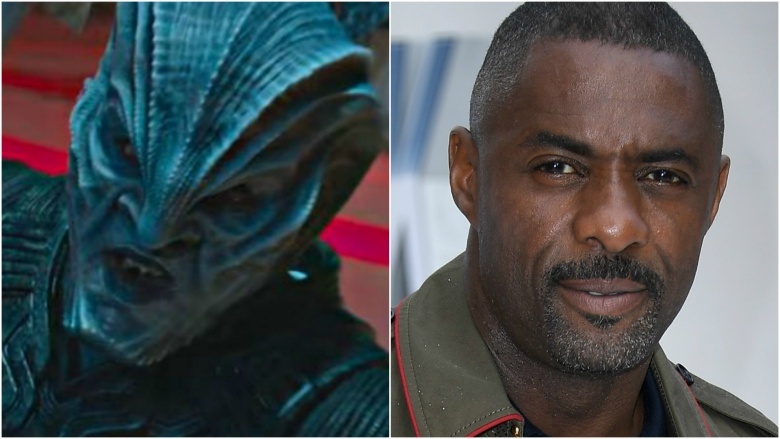 We knew Idris Elba would be playing Krall, the biggest bad guy in Star Trek Beyond, but we didn't know we'd ever get to see Elba without the makeup. The mysterious alien warlord is new to the series and looks far less human than many of the alien species in the Star Trek universe. That, along with the move away from canon, led us to drop our shields about his origin story, which is revealed late in the film: Krall used to be the completely human captain of the USS Franklin before Starfleet lost it a century earlier. But he and his crew extended their lives (and foreheads) with alien technology, giving the movie its biggest storyline twist in the process.